A backstitch is necessary to secure a line of stitches. Backstitching is overlapping stitches at both the beginning and end of a stitching line. This is done by sewing approx. 1-3 stitches by machine, reversing the direction of the feed dogs and stitching directly on top of the previously-made stitches. After backstitching, continue sewing the rest of the seam, and repeat the backstitching process at the end of the stitching line. Basting stitches are long stitches done by hand or machine that temporarily hold fabric in place before sewing. They are removed once the final seam is in place. 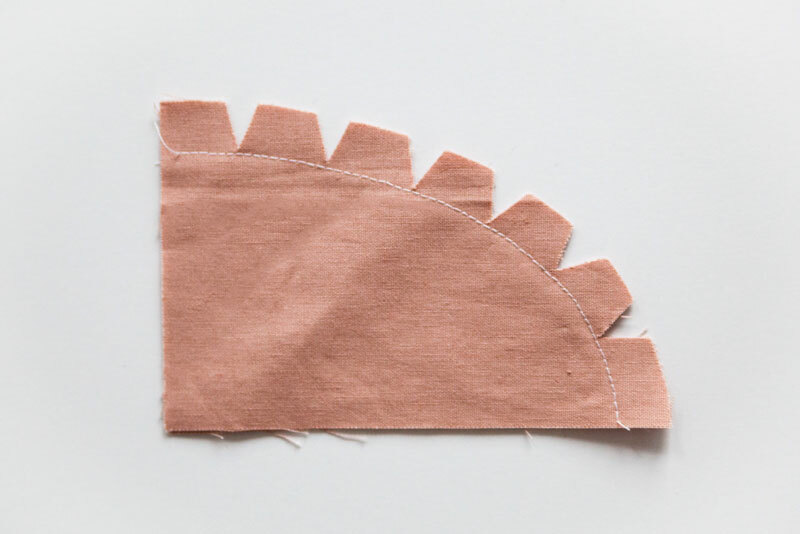 To help flatten a curved seam, snip at even intervals along the inner curve, being careful not to cut into the stitch line. To edgestitch, add a second row of stitches very close to the seam line on the right side of the fabric. This is usually sewn to keep pressed seams in place. 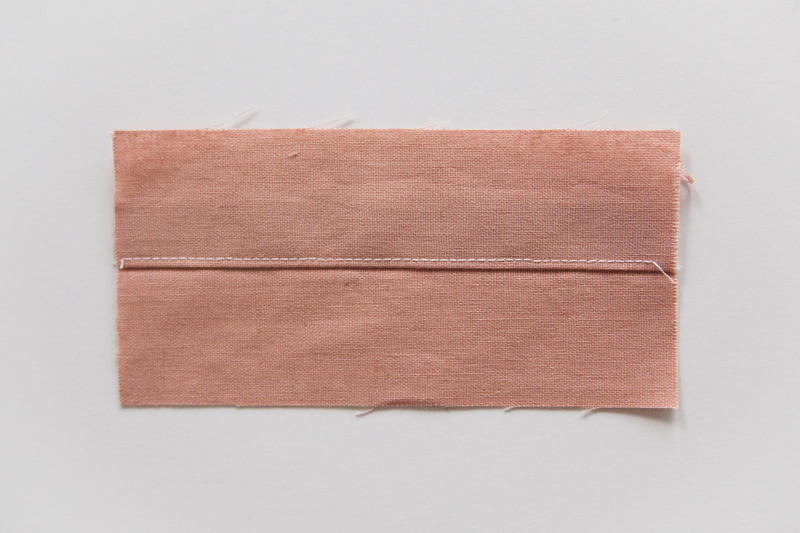 There are many ways to finish a seam or raw edge to get a neat look and prevent fraying. 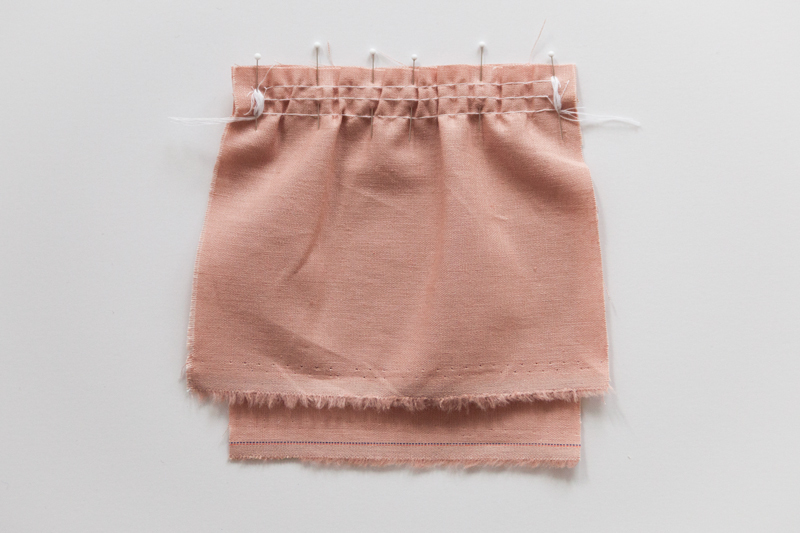 For sturdy fabrics, just trim seams with pinking shears. 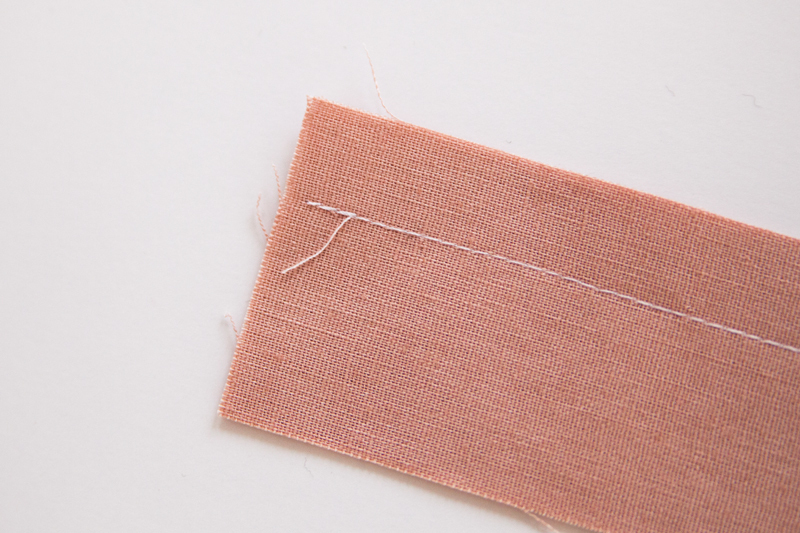 For lighter fabrics, use a zigzag stitch along the seam. Other methods of finishing include turned-under seams, bound edges, and serged edges. Learn six different techniques for finishing seams, here. Gathering stitches are used to sew a longer edge to a shorter edge, resulting in significant fullness. Use a long stitch length and stitch three rows parallel to each other. Leave long thread tails which can be tugged to adjust ease before you sew. See our gathering tutorial, here. Seams need to be graded to reduce bulk when pressing the seam allowance in a single direction. After the seam is sewn, trim the seam allowance in half. 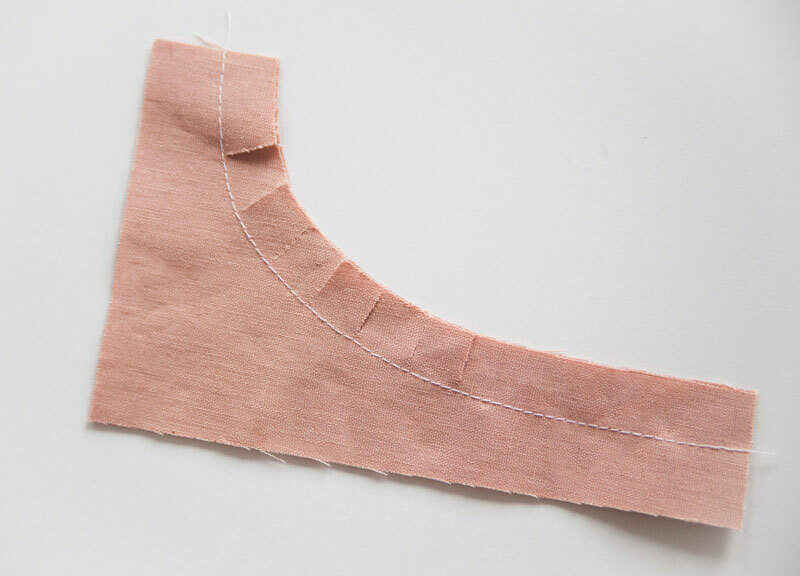 Then, identify which side of the seam allowance will be laying against the body once it is pressed, and trim that side of the seam allowance in half. Knit fabric is created from one continuous piece of yarn that is looped repeatedly. This looped structure gives knit fabrics a great deal of stretch. Knit fabrics will unravel but will not fray. 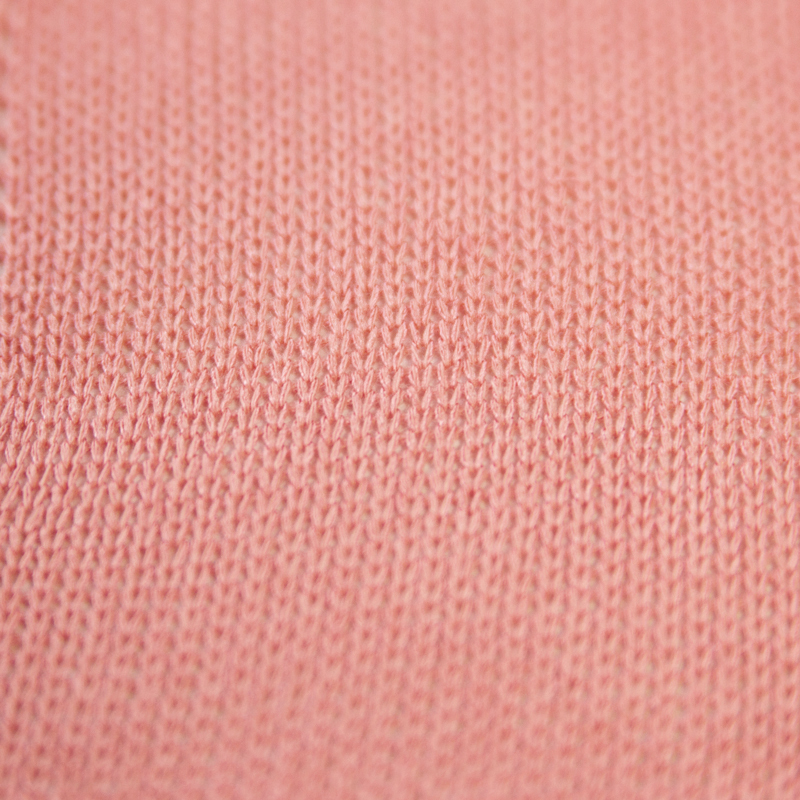 Learn more about knit fabrics, here. 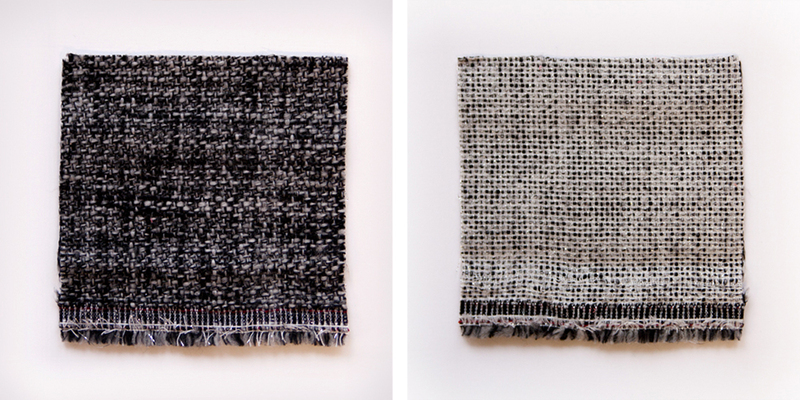 Woven fabric is created by weaving multiple yarns across each other at right angles. These fabrics usually have no stretch along the lengthwise, little along the crossgrain, and the most stretch along the bias. 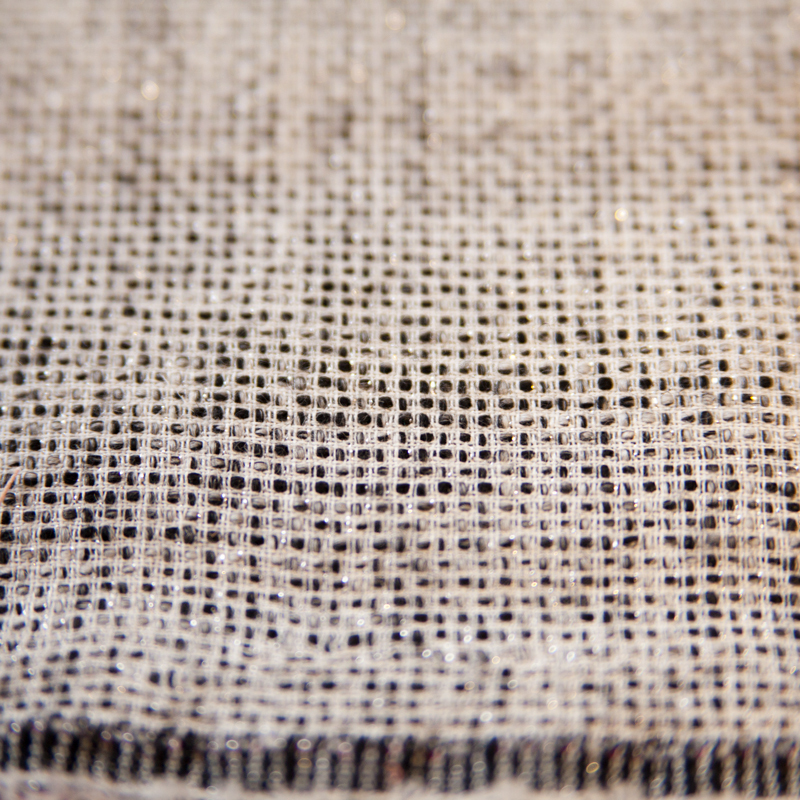 Depending on the fiber content, some woven fabrics will have more stretch than others. Woven fabrics will unravel and raw edges should be finished. The notches on a pattern help align the pattern pieces when you sew them together. Another type of notch is one that is added when sewing the outside edge of a curved seam. These notches are added by cutting wedge shapes into the seam allowance at even intervals, being careful not to cut into the stitching. The raw edge is the unfinished, cut edge of the fabric. The right side of the fabric will show on a finished garment; the wrong side will be on the inside. Here’s a quick tip: the raw edges of knits fabrics tend to roll toward the right side. 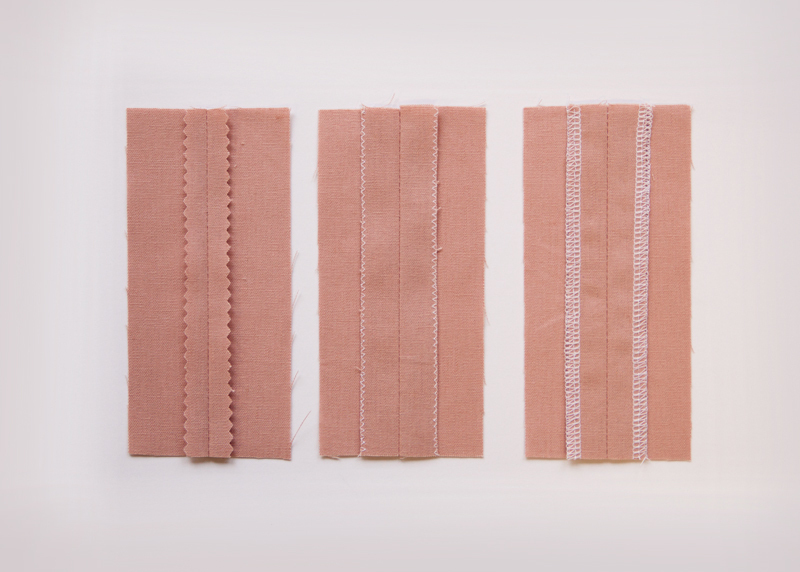 Staystitching is a straight stitch sewn through one layer of fabric. It’s most often used around a curve to prevent distortion, as it stabilizes a piece of fabric before it is sewn. This stitch is traditionally at a slightly smaller stitch length. Learn more about the the importance of staystitching, here. 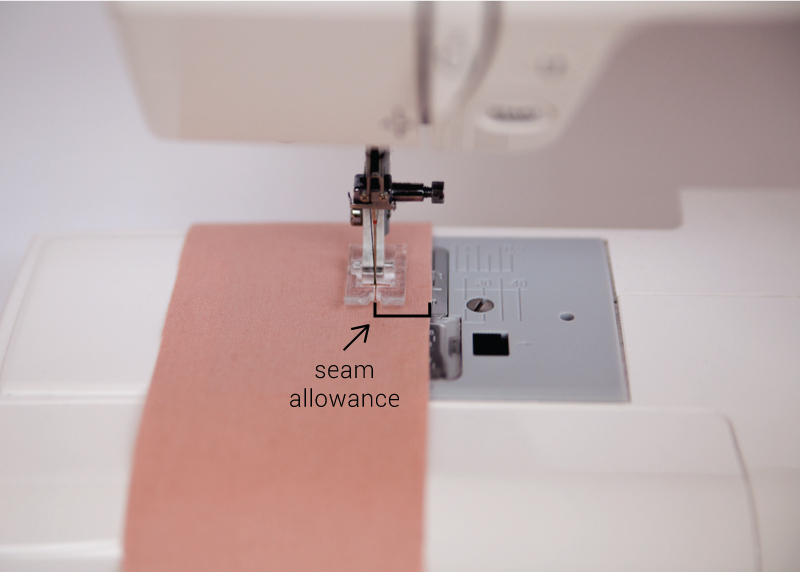 The seam allowance is the distance between the stitching line and the raw edge of a piece of fabric. Most commercial patterns have a 5/8″ seam allowance. The stitch length is determined by the movement of the feed dogs. It can be set so that the stitches are longer or shorter, depending on the project. 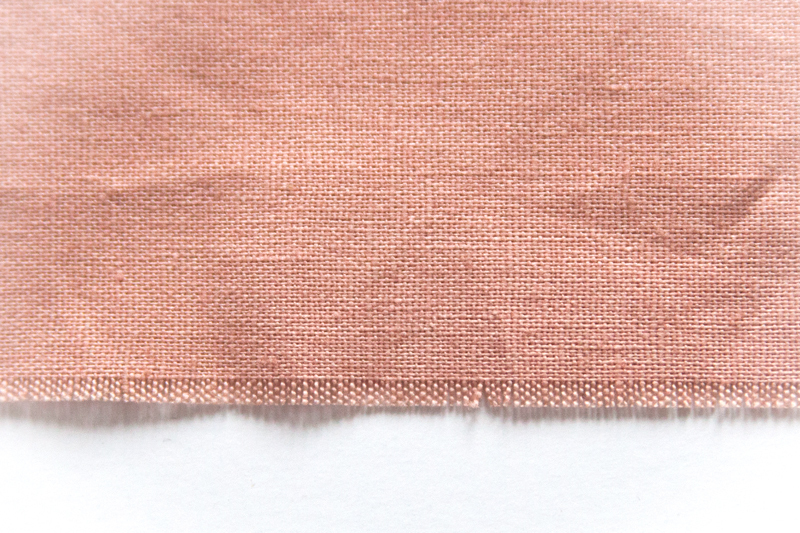 Topstitching is stitching on the outside of a garment that is parallel to, and usually 1/4″ from the seam. 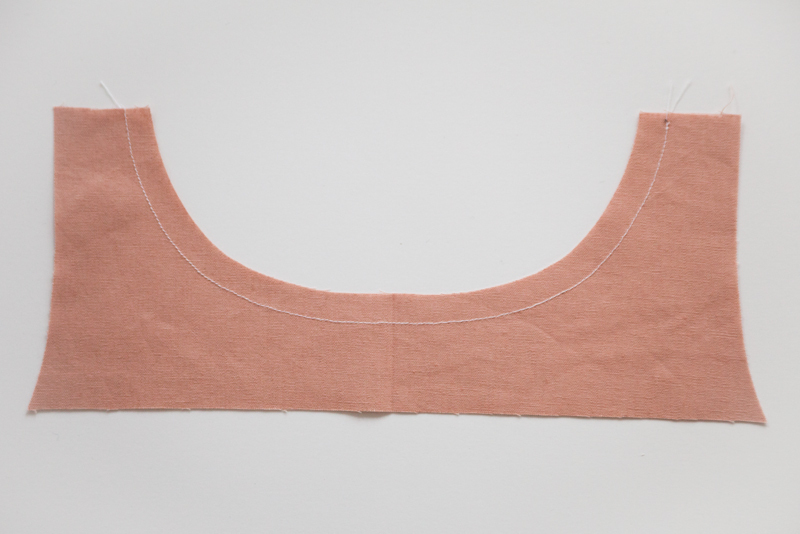 To topstitch, sew through the fabric and seam allowance after pressing to help the seam lay flat. Topstitching is similar to edge stitching, but more noticeable, and can be used decoratively. Understitching is stitching that helps seams lay flat and prevents facings and linings from rolling to the outside of the garment. 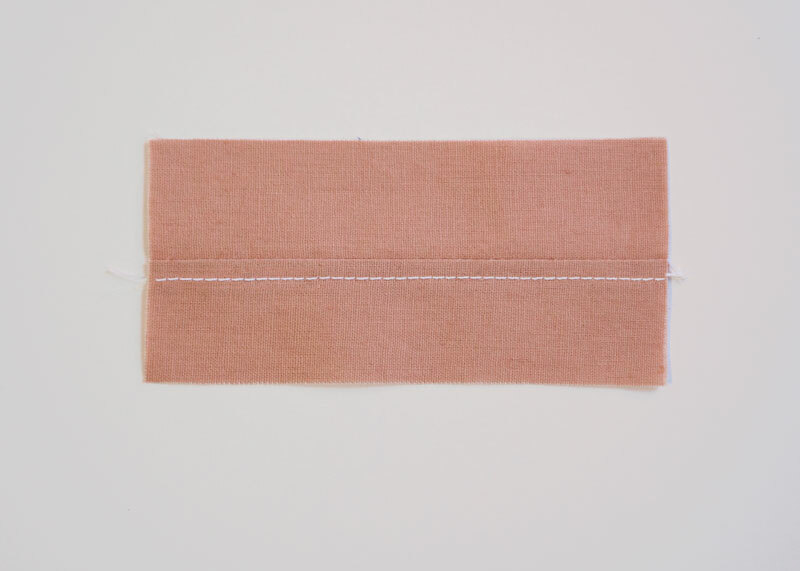 Press the seam toward your facing, then stitch the facing to the seam, very close to the seam line. See our understitching tutorial, here. True bias is a cut made on an angle, 45 degrees to the selvage. This direction allows for the most stretch. Bias refers to any line diagonal to the crosswise and lengthwise grains. Most bias pattern pieces are laid on the true bias; the grainline arrow and the pattern’s layout instructions will help you align your pattern pieces. 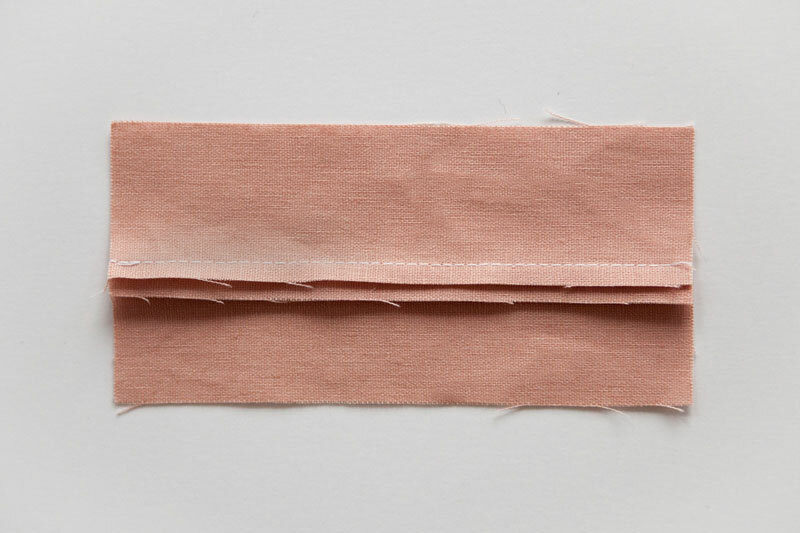 Selvage is the self-finished edge of fabric. The selvages are located on either finished edge of fabric and are made while the fabric is being manufactured, usually on a loom. 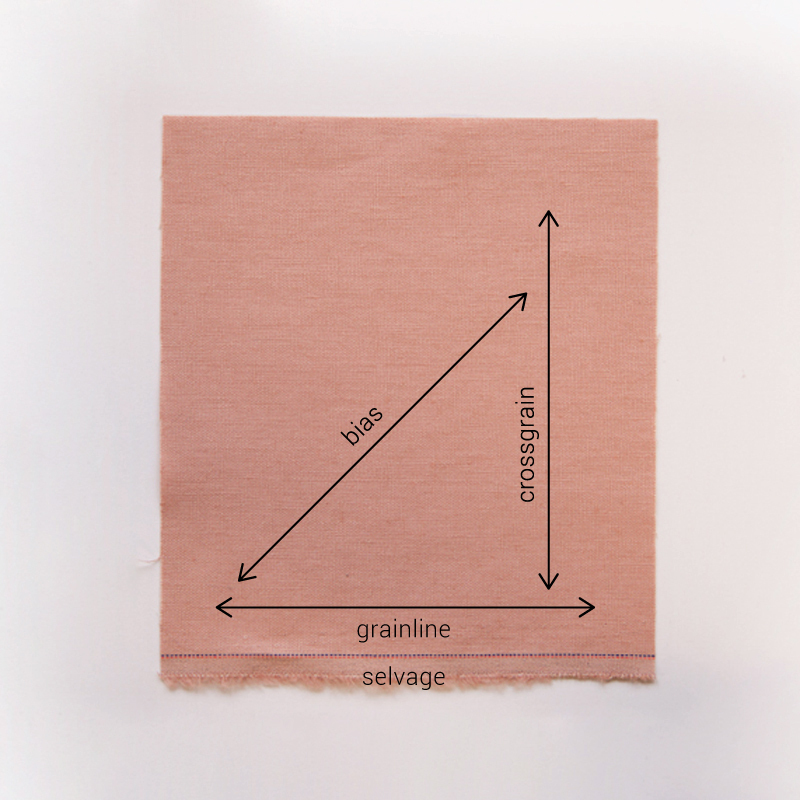 The grainline runs parallel to the selvage. The long arrow symbol printed on a pattern corresponds to the location of the fabric’s grainline when laying out patterns. The cross grain runs perpendicular to the selvage. I think you mean the GTA online runs parallel to the selvedge. Hi Debbie, I just amended this mistake. Thanks for the heads up! I think you mean woven fabrics usually have no stretch along the lengthwise grain, and some stretch along the crosswise grain (not the other way around)? Thanks for finding that Clara! It’s been fixed! Thank you so much for this post — it’s surprisingly difficult to find short, clear explanations for some of these things online. Concave seams “cave-in” so you clip into the seam allowance. Convex seams “curve out” so you want to notch out the extra fabric at the seam allowance to eliminate the bulk. This is a fantastic post. I used to teach a “Learn to use your Sewing Machine” class for new owners, and covered much of this in that class. May I write a short introduction to this post on my blog then link to this article? Yeah, great! English is not my native language, and for me “English for Sewing” has been a wondeful field of study. Also for knitting, one has to learn the terms to be able to understand instructions, books or tutorials. Thanks! Maybe I am oldfashioned, but when you say “baste” or “backstitch,” I imagine them done by hand. So maybe your first to terms should be “machine backstitch,” “machine baste”? Lovely little article! Clear and concise. Thank you! I’m confused. Can you clarify ‘bias’ as it refers to knit fabrics? You mention that knits have stretch along the bias, but there are not lengthwise and crosswise threads in a knit to determine bias. Also, as I learn about sewing, I’ve been testing different knits and have found that some do not seem to have any stretch at all, in any direction! Help! Hey Shasha! When I was speaking of ‘bias’ I was referring to the 45-degree angle from the selvage. Because knit fabrics are created by interlocking loops of thread, when the fabric pulled, the space in the middle of each loop allows the fabric to stretch. This type of stretch is called the mechanical stretch. Yarn stretch refers to the actual stretch that is inherent in the fiber content. For instance, cotton yarn will stretch much less than a spandex. 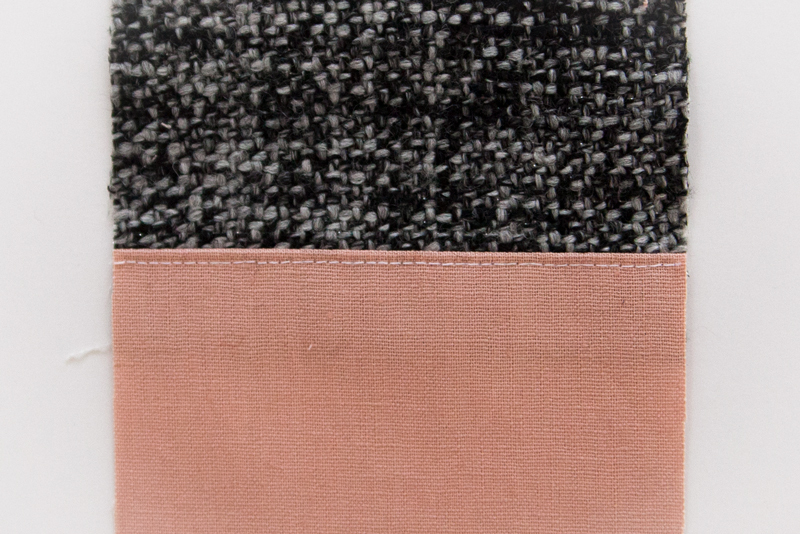 Knit fabrics should stretch easily from selvage to selvge, which is the horizontal stretch. 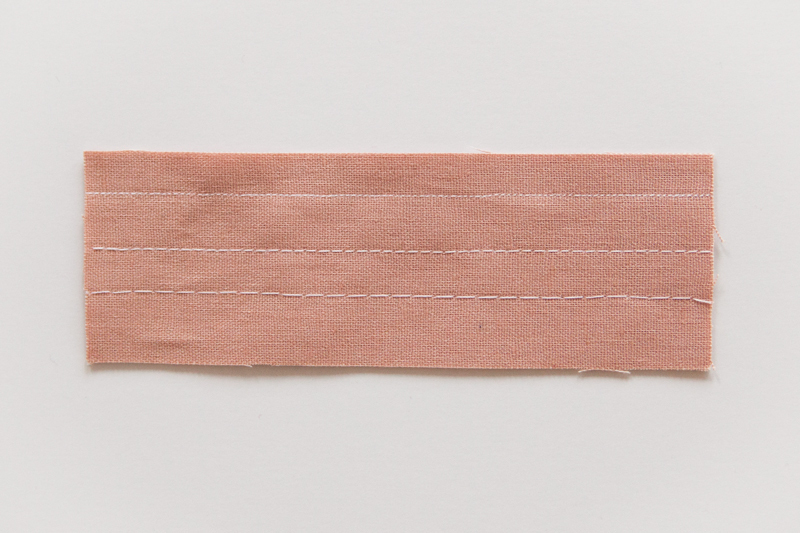 The stretch of a knit fabric parallel to the selvage is called the vertical stretch. Knit fabrics often have more horizontal stretch than vertical stretch, and some have no verticle stretch at all. The most important thing to consider when buying knit fabric is the end use and how you want the fabric to perform to the design. Here’s a link to a couple of our knit tutorials that might help you decipher knit fabrics a bit better. SO helpful, as one who muddled through a pattern last night and made some (mostly correct!) guesses. I look forward to receiving my regular email messages from Colette! They always teach me something that makes my sewing life easier! Though I make quilts rather than clothing, most of the basics are the same. Thank you for the gift of these lessons! I don’t think there’s any general rule about the distance of topstitching from a seamline, you just need to make it consistent across the garment; and I usually wouldn’t backstitch when topstitching unless I was making a feature of that – I’m afraid your sample isn’t setting a great example! As with most things sewing, there is a ‘most common’ technique. Sometimes fabric or design preference will necessitate straying from the most common way. 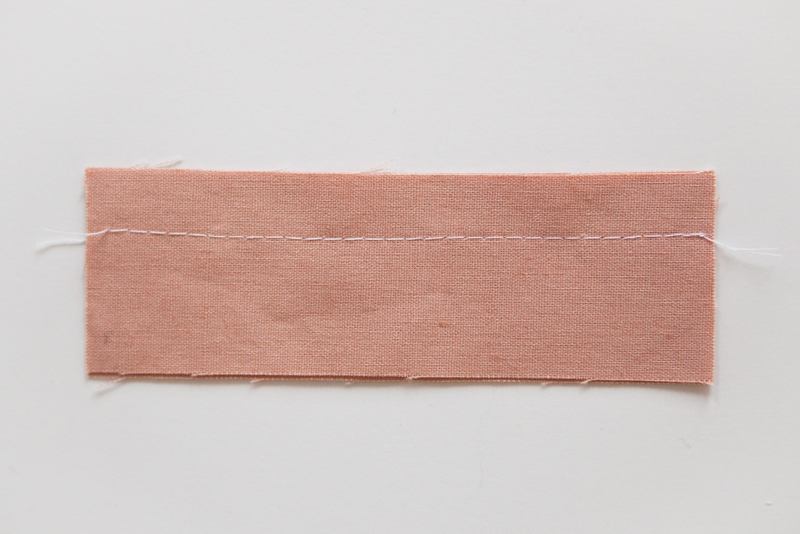 In Colette patterns, we generally recommend topstitching 1/4″ away from the edge. But, of course, you are welcome to stray from that recommendation depending on your fabric or design preferences. I’d love to know this, too! I installed my first collar ever when working on an Addison last night. There were a lot of layers and it felt messy and confusing when I was trying to trim, grade, notch, clip, and finish (then understitch) four layers of fabric in the seam line! Usually, a graded seam is encased either by a facing or a lining, however, Selene’s graded seams are not. When I made my Selene, I finished the raw edges of the graded seam with a narrow zig-zag stitch. I bought my machine from Yvette, she is a great teacher and saw this on her blog. I have been sewing for years and this fall am teaching my granddaughter to sew. This is a great article to share with her. She has made 2 fleecy pants for her dad and brother so some of the items certainly fit in. Thanks so much, I look forward to more. I disagree that topstitching should be 1/4 inch away from the edge. That’s a one way ticket to “happy hands at home” as the example photo shows. The distance from the edge is dictated by the thickness of the fabric, as well as design considerations. There’s no one distance that is universally correct. For a professional looking finish, DON’T backstitch your topstitching. Instead, pull the threads to the back of the fabric and knot. As with most things sewing, there is a ‘most common’ technique. Sometimes fabric or design preference will necessitate straying from the most common way. Thank you for sharing your tip for avoiding backstitch bulk! Additionally, topstitching a seamline at 1/4″ may be fine, but attaching a pocket at 1/4″ is not fine. Don’t do that. Thank you both for your feedback. We have replaced the photo to better illustrate topstitching. The higher end the garment the closer the topstitching is to the edge. If you are able to see up close and personal a three hundred dollar silk charmeuse shirt you will find the tiniest topstitching on the very edges of the garment, cuffs, etc. I think it is better to aspire to the best ready to wear possible in our techniques. It isn’t any harder. That picture does not clearly demonstrate topstitching. A pocket should be attached with a neat edge stitch, topstitching is primarily decorative. You would never attach a pocket as shown in that picture, it’s a terribly homemade look (unless that’s what you’re going for) & that 1/4 of flappy edge will not be hardwearing. Thank you for your feedback, Emily. We have replaced the photo to better illustrate topstitching. Thank you so much for this much needed and useful information.